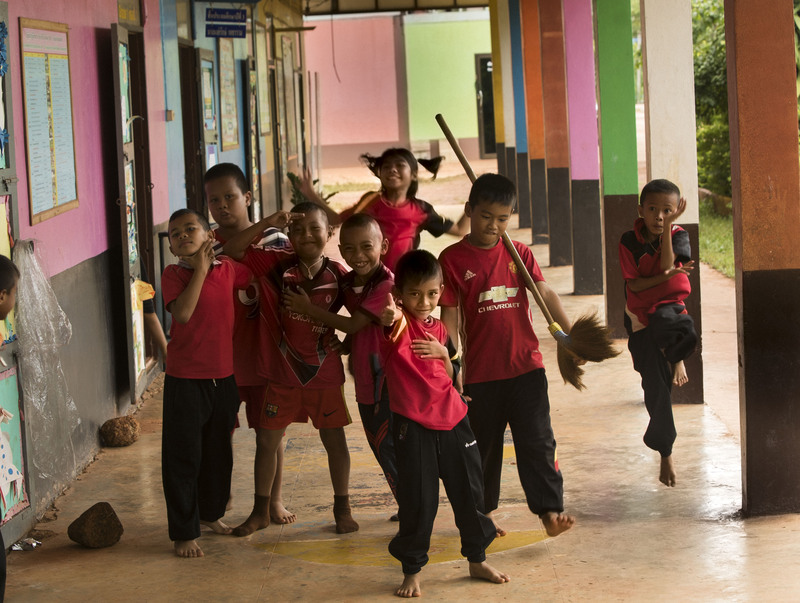 Small schools in rural Thailand have had their funding cut so much that directors cannot afford a sufficient number of staff to maintain quality education. With lack of funding to hire enough teachers, these student – focused schools will be forced to shut down, leaving many of these students vulnerable to to the cycle of poverty. Many of these children come from homes and families balancing on or falling under the poverty line. 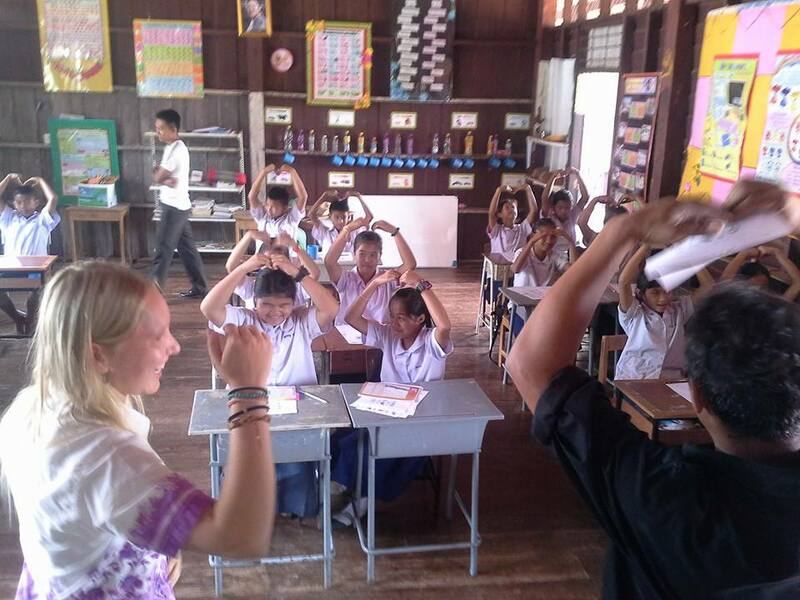 Mundo Exchange has been sending volunteers to teach English and working closely with one such school in a village near the Buengkan and Sakorn Nakorn Province border called Kamplaphanatawee. Despite the budget cuts, this school’s director refuses to give up and even sets aside part of his small salary to pay teachers and school fees out of pocket. The teachers already at the school believe in education so much they are willing to sacrifice a part of their salary as well to stay open and fully staffed. They will not lose hope or give up on these children, and neither will we. Equal opportunity for education in public schools should not come from the teachers’ pockets. Our goal is to raise $6,500 in order to sponsor two Thai English teachers. Two teachers are retiring at the end of this year, and there is no government funding to hire two more. Just $6,500 will cover the salary of two teachers for a year at Kamplaphanatawee School. While the above video from the World Bank shows a small school in Chiang Mai as it’s example, this is a problem that directly mirrors small, village schools in the rural Northeast and all across the country. Budget cuts have led to a shortage of teachers and a lower quality education because teachers are forced to teach the students subjects that they themselves have not mastered. How much funding a school receives depends on how many students they have, and with the overall population rate of students is (and is projected to continue) dropping village schools are being hit the hardest with budget cuts. With nearly 50% of 15 year old students in small villages being functionally illiterate, it is critical that these students have access to education so they can have the same opportunities as their peers from larger cities later on in life. One solution World Bank offered is to consolidate several nearby small schools and share resources, thus eliminating the teacher shortage. While in theory this seems to be a good solution to the problem, there is still the cost of transportation. There is no free public school bus for students; any transportation to and from school is an extra fee. If small schools like Kamplaphanatawee are forced to shut down in an attempt to funnel students into nearby, larger schools, many children will be forced to discontinue their education because they simply cannot afford the transportation fees. Until the government is willing to support this by proving free transportation to public schools, shutting down these small schools is not a solution. Lack of funding is a problem across Thailand, and even across Buengkan Province, so why did Mundo Exchange choose this particular school? For a start, we know and trust this school. Mundo Exchange and our Thai partner association Laekplian Lokgatat have been sending volunteers to this school for over ten years. Kamplaphanatawee is blessed with a director, Kittichai, who truly has a heart for his students. While he has had many opportunities over the years to increase his salary and position by moving to a larger school (as most school directors do), he instead chooses to stay here. He values education and understands the importance of keeping small schools like this one open for students who would otherwise not have access to education. 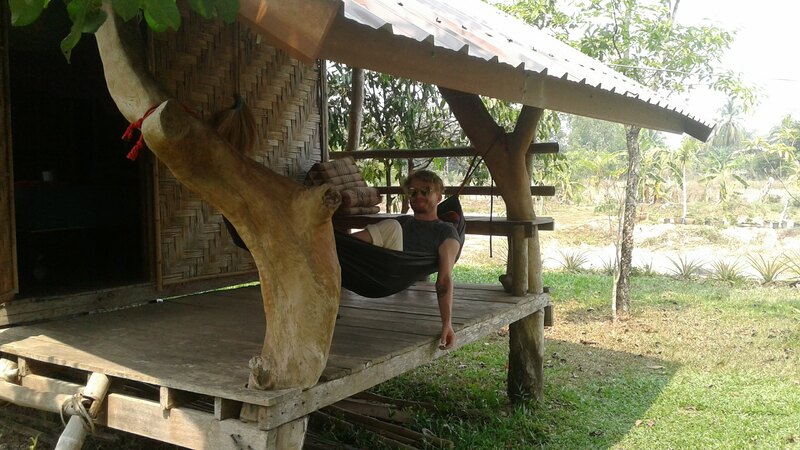 Kamplaphanatawee School has just over 100 students, and a very low budget. Many teachers here have given up their time and energy to come together and help teach in subjects outside of their own expertise in an attempt to pool resources. Both Kittichai and his teachers have given up parts of their monthly salaries in order to keep this school open for their students. They understand that many families earn an average of 4,000 baht a month. For an average family of four that’s only only $120USD a month. Since most people in this region work in the agricultural sector they are vulnerable to sudden income fluctuations due to economic or environmental troubles. The government currently does not provide any financial assistance such as free school buses for students, and without a school near home many of these students would be forced to discontinue their education, thus perpetuating the cycle of poverty. 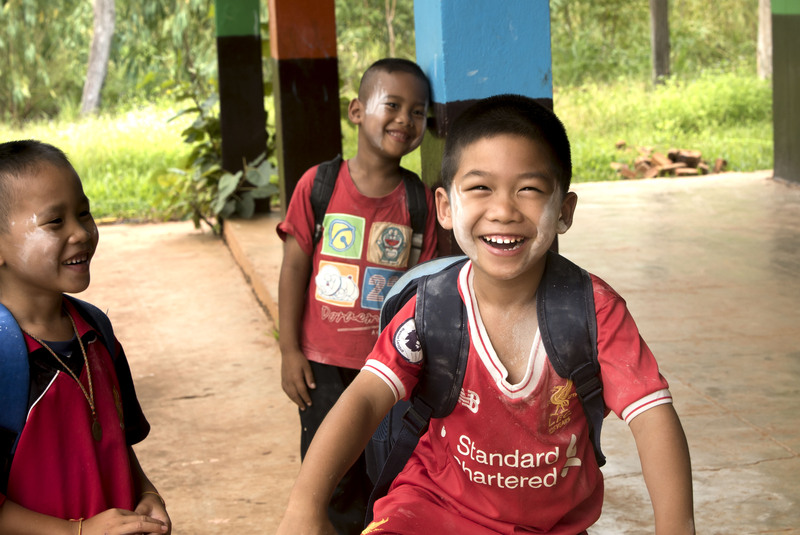 Kittichai and his teachers have worked hard to keep this school open for the students living in this village, including drawing from their own funds. At the end of this year two of his teachers are retiring and they do not have the funds to hire two more teachers. They have already sacrificed so much for this school, and we do not want to see them have to shut down due to inadequate funding, Every child deserves an equal chance for education, and we trust that every dollar we put into Kamplaphanatawee School will go towards ensuring the students get that chance. Without education, the cycle of poverty will continue into the next generation. Be a part of enriching the lives and continuing education of over 100 children! Your donation will go towards two new teachers’ salaries and teaching materials.